How would this (https://s.click.aliexpress.com/e/1w2bEPI) compare to the nicehck 8 core cable you think? The nicehck is a 0.75 2pin and I would like to have a 0.78 2pin. DM6 is mmcx, dont buy 2-pin cable for it! Finally got my eraphone today. Yet to listen to them. Sony ZX2 (walkman)...........Sony XBA-Z5 IEMs. I'm now listen to my most well known trance track Armin van buuren - Winter stayed. This track is my benchmark for Trance, i know it inside out, it's what i used to test the eph100's. You'll be very pleased to know I give them two thumbs up for trance, they have that wide spatial sound that made the eph-100 so good for trance. I still prefer them for trance, but the dm6 ranks close. Don't go by first impressions, after just a few hours breaking in they're already showing great promise. Which tips are you using? I've got complys on my eph100, really wish i could get the stock tips again for them as i feel they were the best. Seems 40 hrs burn is the magic number. Strange but true IMO. ? 40 hours of burn in. Not sure if people know about this already, but the DMG seems to be expanding its color palette. I believe they are some Meelec double flanges, possibly from their M9 iem, bought several as i did their lucky dip thing for a couple years. 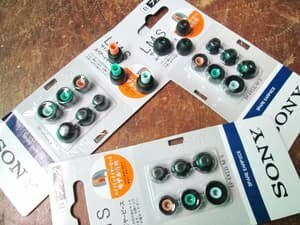 Could trust looking at Sennheiser CX tips, they're usually pretty wide. Those look like it. The reason I don’t know the model is they came with my Sony Z5 and N3. But look exactly like the EP-EX11 as long as they don’t have any of the foam inside. Strictly silicone. They are called Hydrid due to different densities of silicone merged into one tip. For some reason they fit like glue. Totally air-tight. But be warned they will stay in your ears when you try to take the DM6 out. It’s a small price to pay for a good fit. Note in photo how they look when you turn them inside out. No foam. Many members swear by them. They used to be expensive now they are not. Never seen white ones though? Should I get these or something else with a wide bore? Symbio peel tips, seem to work very well but I'll try others at some point. For me symbio peeled version worked also very good. Nice low with them and good isolation Wait for normal symbio w to receive. Then i will compare. Get a wide range of opinions. For me anyway I understand a wider bore gets better midrange and treble. Where these can be slightly on the dark lush side. But I stick with them as dark and lush is what I am after. Though also when I try wider bore tips, it almost changes to where I think I don’t have an airtight fit? It may be that only the midrange and treble boost make it seem that way? So for whatever reason I just stick with Sony Hybrid Tips. It would be interesting for more to recommend tips. I just stick with the sound I like. Does the bass improve with burn-in with the DM6? 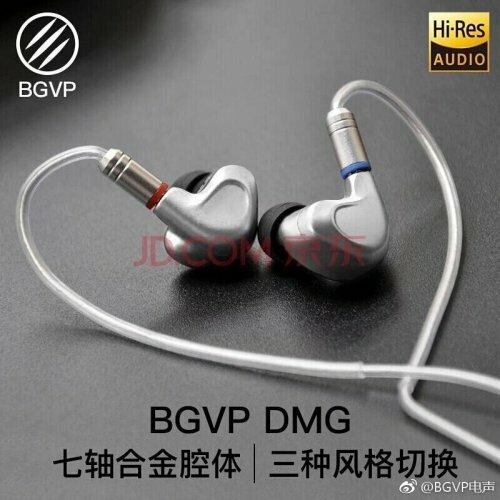 Bass is still weak compared to my AKG N40 IEMs. Other than that, I'm very impressed with them and they are great for long walks as they're so easy to listen to and the fit it just right for me. Bass does get better. Still I am guessing you don’t have the correct fit. Honestly the bass out of the box is darn cool? Keep rolling tips. My collection of headphones is all mega bass; Z5, N3, Z1R, Z7 and qdc Anole V3..........all have exceptional bass and the DM6 keeps up or has surpassed them at times? After burn-in stuff seems more delineated and separate; so the bass seems like more but it’s just more clear. Bass is known for that aspect, there has been tests where people thought there was more bass by using a better damping factor amp; but it was only an included extra decibel of bass. The detail made it seem like more. mr.karmalicious and Taz777 like this.